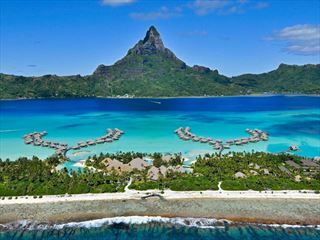 The Four Seasons Resort Bora Bora is a deserved gem of the Pacific. A treat to stay in and a one of those places you just want to have visited in your lifetime. This place is stunning. One of the most blissful beachfront resorts on its own exclusive island - Motu Piti Aau. 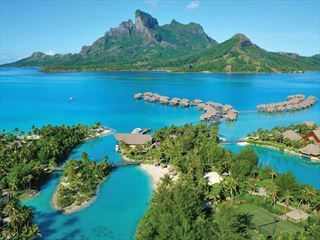 Offering spectacular overwater villas with stunning views, InterContinental Bora Bora is a gorgeous oasis that's perfect for a remote honeymoon. 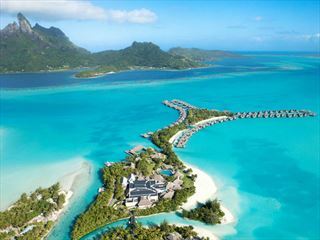 SThe St Regis Bora Bora Resort is another gem that stands out as one of the jewels on the crown on Bora Bora. This is a resort for the discerning traveller who is seeking the ultimate luxury hideaway.